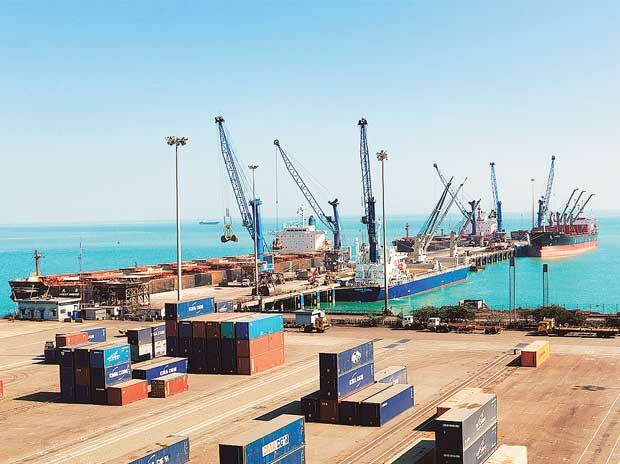 Adani Port and Special Economic Zone (APSEZ) Wednesday claimed that it has become the first Indian port operator to handle cargo movement of 200 million tonnes (MT) in 2018-19. APSEZ, part of Gautam Adani-led Adani Group had recorded 100 MT cargo in 2013-14. On March 21, leading private port operator APSEZ, recorded cargo movement of more than 200 MT, APSEZ said in a statement. "Our projections were to reach this milestone by 2020 but we could achieve it ahead of schedule courtesy the tech-driven operational efficiency and enhanced asset utilisation. Robust capacity addition at our leading ports such as Dhamra and Mundra as well as deepening presence closer the hinterland with new facilities such as Ennore and Kattupalli played a critical role in this journey," said Karan Adani, Chief Executive Office, APSEZ. He added that focus on adding value as an integrated logistics player and coastal shipping of coal further bolstered the process. The company said it developed Mundra Port first but later on there were additions to the portfolio. Non-major ports were developed at Hazira, Dhamra, Dahej and the newest one at Kattupalli. Terminals were developed within major ports of the country at Ennore, Kandla, Goa and Vizag from 2005 to 2018, it said adding Mundra Port remains the crown jewel, but the feat of handling 200 MT cargo has not been achieved by one port alone. The company said, proximity and rail/road connectivity to the vast and rich north-western hinterland, modern port infrastructure and equipment, zero waiting time for ships, faster turn-around time and competitive rates contributed to this phenomenal growth of Adani Ports. "This achievement also reinstates the massive contribution of the ports sectors to India's economic transformation," said Karan Adani adding that collectively the company has generated over 100,000 jobs, educated over 25,000 students and touched over 200,000 lives. Going forward, APSEZ aims to double its cargo handling to 400 MT by 2025, the company said. "The focus for the immediate future is to reduce the turnaround time, drive up volumes without adding resources and increase in-transit visibility utilisation by eliminating unproductive trips among other benefits. The sweetest part of the deal is for our customers who get real-time status of operations from the comfort of their locations," added Adani. APSEZ, a part of globally-diversified Adani Group, is the largest port developer and operator in India. APSEZ's 10 ports and terminals including Mundra, Dahej, Kandla and Hazira in Gujarat, Dhamra in Odisha, Mormugao in Goa, Visakhapatnam in Andhra Pradesh, and Kattupalli and Ennore in Chennai — represent 24 per cent of the country's total port capacity.